Long heralded as a barbecue mecca, Blytheville is home to another Arkansas classic that stands out not only as a long-runner with great pastries, but for its eclectic location. 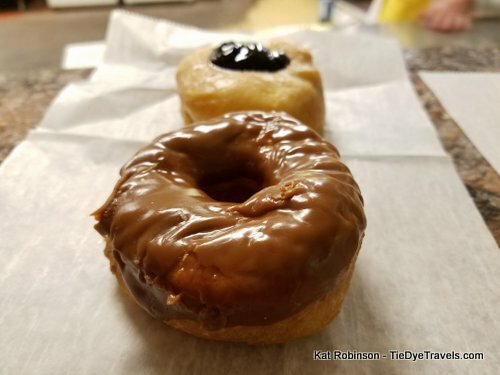 Let's check out Jeri-Lin's doughnuts. Weldon 2014). 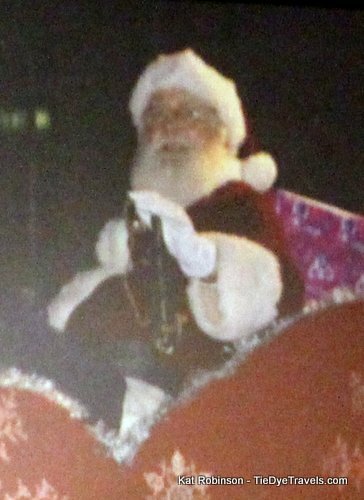 Additional copy and photographs have been added. Amidst all the barbecue in Blytheville, a single shining pastry shop still stands out. 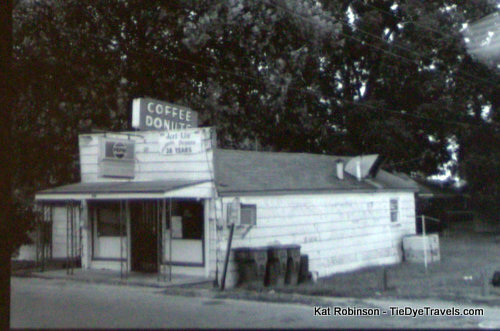 Jeri-Lin’s Donuts has been serving the city since August 1969. 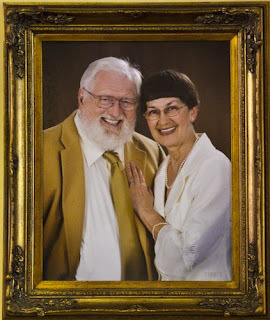 The creation of Jerry and Linda Musser (the Jeri and Lin in the name), the shop is a perennial favorite for the town. The shop became a community hub. Students from the high school would swarm the place before school and at lunchtime. Airmen stationed at Eaker Air Force Base have reminisced over only being allowed off-base during alerts to frequent the shop – and only if they brought back enough for everyone in their squadron. People would cram into the tiny shop, a rite of dining in the town. The couple has always been active in the community. Jerry Musser got to be known for being able to portray Santa Claus very well, and he appeared for more than 20 years in parades and at functions as the jolly old elf – to the point that his own grandchildren called him “Grandpa Santa.” Both Jerry and Linda have given what they’ve got – whether it was Linda offering free doughnuts for functions or Jerry driving a boat and pulling kids that wanted to go water skiing, they were there. Unfortunately, the little building they started out in was worn out. Jerry Musser passed away at the age of 75, just before the move three blocks down to the new location on 10th Street in the old bowling alley across from Blytheville High School. 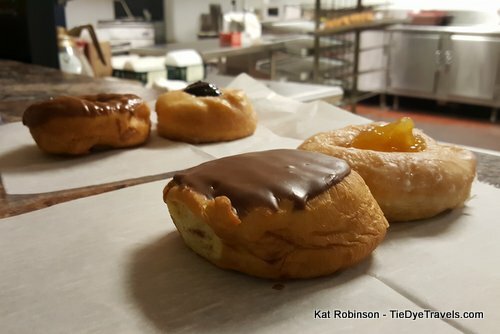 Today, Linda Messer runs the restaurant with Melissa Grant, who has made doughnuts at the shop for more than 20 years. And at the old location, there’s a little park where the old building once stood, and a sign pointing the way to those fresh, light pastries. Locals know the big secrets – such as the fantastic cinnamon rolls, the chocolate covered donuts and big fluffy doughnuts with the filling spooned on top. They also know the secret of the Smush – go in and order a Smush and you’ll get a caramel doughnut smushed on top of one of those famed cinnamon rolls. 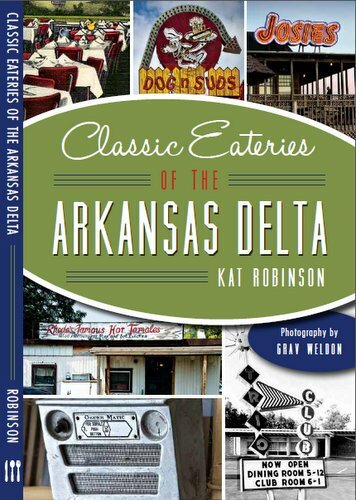 When I wrote this piece for Classic Eateries of the Arkansas Delta, it'd been a few years since I'd darkened the door. Tight on deadline, I called Linda up on the phone one day and asked a few questions. It didn't occur to me until later that I'd never given my name. Grav went up a few days later, took photos and moved along. Those were tight, busy days. I'd meant to return next chance I got, but it was still two years before I managed to get to Blytheville without being on a tight schedule. With a lazy morning of driving the Delta under our tires, we pulled in at the old bowling alley on North 10th Street to grab a quick snack. If you tied Grav's hands together, he couldn't speak. 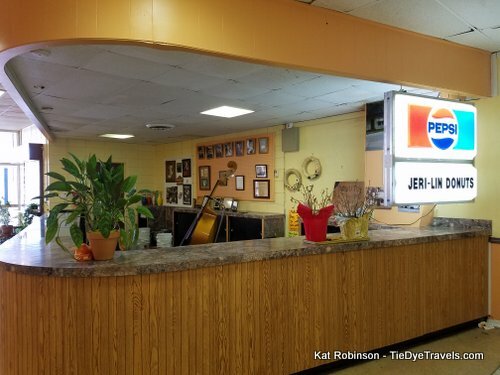 We were the day's last customers, which made our taking up of space inside the cavernous former lobby of the bowling alley even more prevalent. Being shy (yes, I have my days), I let Grav do all the talking. And talk he did, to both Linda and the other lovely lady behind the counter,. 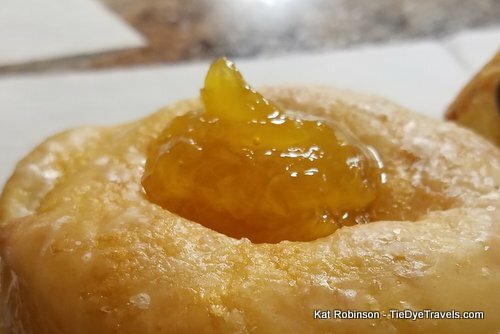 While I had enjoyed the smush so many times in my Jonesboro days, I had no desire for the cinnamon-roll-meets-caramel-doughnut mashup, but I did want that caramel doughnut. Grav's favorite of bavarian cream was on his mind, and we each asked for one. Er, yeah, who goes into a doughnut shop and orders one doughnut each? I mean, yes, people like us who try out eight restaurants in a day from time to time, sure, but what? No, as I said, I was feeling shy, so we added a couple more to the order - and asked for a bag on the side. Because photographs, right? I think Linda knew something was up. She was so cheerful, and she happily rattled off the story of how she and Jerry ran this place. She loved him and loves him still, and he's still here in many ways - from the bass in the corner to the display of Santa photos on the wall. When she mentioned his name, she'd light up, so bright. She also told us more about the building. See, beyond the wall at the back when you walk in, the lanes are still there. You just can't get to them, so no bowling here. A few pins have been pulled out and they're on display in a museum-like counter area that likely once served as the alley's shoe rental station. Other things are here, too, such as the old sign from the original Jeri-Lin's location, family photos, memorabilia. The shop should have been closed at 2 p.m. that day but Linda kept sharing stories and we kept asking questions. We almost managed to walk out the door when she asked the one I couldn't shake. She asked me who I was. Well, at that point you just have to laugh and fess up. When I told her who I was and Grav shook her hand, she laughed harder. Told me she remembered talking to me on the phone and how pleased she was to be in the book. I don't know why it makes me so nervous, letting people know who I am under my hat, but sometimes it does, but it bothered her none. Later that day, as Grav and I wandered the countryside betwixt flat fields, I pulled out that pineapple doughnut for a perfect snack, and thought of love and doughnuts. If you're in the area, Jeri-Lin Donuts is a must. You'll find it at 539 North 10th Street in Blytheville. Be sure to check out the Facebook page. 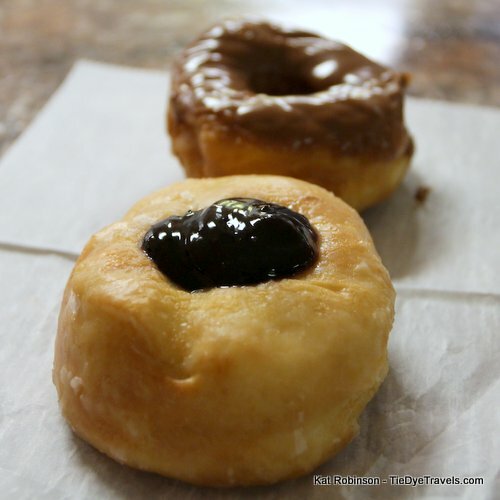 Find more great Arkansas doughnut shops here. Kat...thank you for visiting this Blytheville landmark and "institution". I consider Jeri-Lin's the best donuts in the world...I even had some donuts this past week in Chesapeake, VA hoping to find something almost as good. Didn't happen. 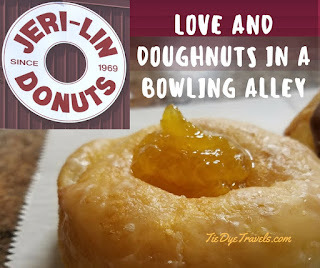 Jeri-Lins makes great donuts...and if you get there early in the morning...they are still warm and addicting!! Thanks again for giving them a visit and a shout. I wrote a short article in my blog about Jeri-Lin's and included a very short story...here's the way I remember this TRUE story about my addiction to the cinnamon donuts. "I have not tasted a cinnamon donut anywhere around that tastes as good as a Jeri-Lin’s Donut. Yep, there are lots of donut shops with good donuts, but their cinnamon donuts are the best around and I joke about once having to go through a 12 step program that included being weaned off these DELICIOUS donuts. They are the best…especially when they are first made (but they ain’t half bad either cold or when warmed up)." I was one of the first employees. Linda and Jerry were great to work with. The donut recipe hasn't changed ...if it ain't broke, don't fix it! A stop there is a must when I'm in town and they are open!